This one-of-a-kind DVD features Cheeky Girls Productions' Executive Director, Michelle Joyce. She breaks down everything you need to know about promotional photos, Photoshop, websites, social media, workshops, working with sponsors, producing a DVD, and more! 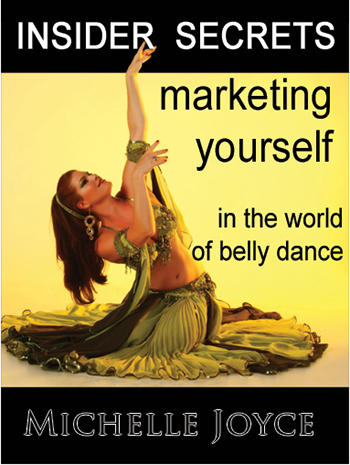 This is such a well composed, instructional piece on how to present and market one's self (or someone else) in Belly Dance or any other performance art. Valuable information on web design, photo prorams, an embedded interview with a photographer...all add up to a very valuable earning experience. This one's a keeper! There is a lot of useful information on this video. I look forward to implementing what I learn on here.